Windows is prone to attack by viruses which work by disabling most of the significant utilities and create a lot of trouble for the users. Mostly the viruses originating from Indonesia are the real culprit. They disable the very same utilities which can be used to remove the virus therefore eliminating any scope of easy repair. 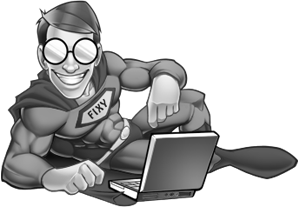 The utilities such as regedit, cmd, folder options, msconfig and so on in Windows can be used to repair the system from virus attack but these are disabled by the virus. Rescue disks can be used to remove the virus from Windows system. But at the end of this process the registry editor, command prompt, task manager, system configuration utility, and folder options still remain disabled. There are various other Anti-virus software available in the market to clean the virus. However, there is still no one click solution to restore the damages done by the virus on Windows System. 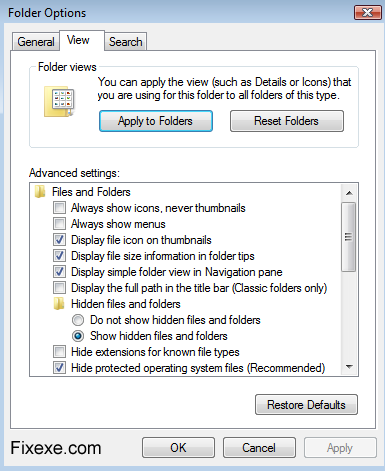 If you are not sure of the location of the registry, try deleting the whole Folder key and you will see that the Folder Options Advanced Settings will go blank. Before you perform this step, make sure to take a backup of the Folder key to restore it later. If you think you might fix the contents in Folder Options manually then think twice about it because this will mean memorizing shell32.dll codes which is not a child’s play. However, there is a solution to this problem after all. What you have to do is to export a registry fix from a clean and newly installed Windows XP and Vista. The registry key works by automatically deleting everything in Folder key and restoring the default Folder Options Advanced Settings. bagaimana cara mengembalikan semua shorecut yang gambarnya berubah dan karena gambarnya sama , eh ternyata pengaturannya sama juga..
SMADAV,MEDIA PLAYER CLASIK DLL, gambarnya sama dengan sperti yang di atas, dan pengaturannya sama pula, gimna om.???? Thank you that fix worked!